The capital city of Sakha republic: Yakutsk. Sakha (Yakutia) Republic is the largest federal subject of Russia located in the north-eastern part of Siberia, in the Far Eastern Federal District. Yakutsk is the capital city of the region. The population of Yakutia is about 962,000 (2015), the area - 3,083,523 sq. km. 21 May, 2018 / Picturesque Castles of the Sinyaya River in Yakutia. 14 July, 2017 / Amazing Nature of Iturup Island. 28 March, 2017 / Yakutsk - the largest city on permafrost. 12 June, 2016 / Tiksi - the sea gate of Yakutia. 16 March, 2016 / Columnar Landscape of Cape Stolbchaty on Kunashir Island. 26 October, 2013 / Russia and China plan to conduct joint development of oil field in Siberia. In Soviet times, Srednebotuobinskoye oil field in Yakutia was the place of at least seven nuclear explosions made to intensify production of oil. Officials deny environmental concerns that this oil may be radioactive. Total reserves of the field are estimated at one billion barrels. 8 January, 2011 / Air temperature of minus 61.2 degrees Celsius was reported last night in Oimyakon settlement in Yakutia Republic, known as the cold pole. Not so cold at all, in 1933 the temperature registered was minus 67.7. 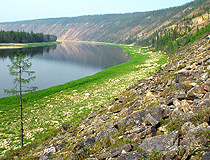 According to archaeological studies, ancient people inhabited the Lena River region in the early Paleolithic. A lot of archaeological monuments dated from 300,000 to 10,000 years ago were found. From the middle of the first millennium AD, the ancestors of the Evens and Evenks began to settle here. By the 13th century, the Tungusic tribes settled in the Middle Lena, Viluy, Olekma. The arrival of the ancestors of the Yakuts or Sakha (endonym) forced them to move to the west and east of the Lena. Livestock development brought major changes in the economic life of the region. The Yakuts brought handicraft production (blacksmithing, jewelry, pottery etc.) and construction of permanent dwellings. In the first quarter of the 17th century, the Cossacks reached the banks of the Lena River. The fortified settlements of Lensky (Yakutsk), Zhigansk, Verkhoyansk, Zashiversk, Srednekolymsk were founded. They became the advanced posts for Russian colonists, who moved to the northeast Asia. When Yakutia (the region of the Lena River) joined the Russian state, its main indigenous population were the Yakuts, the most northern in the world sedentary herders, who were engaged in breeding of cattle and horses, hunting, fishing, blacksmithing. They created a wonderful heroic epic - Olonkho, unique material and spiritual culture. 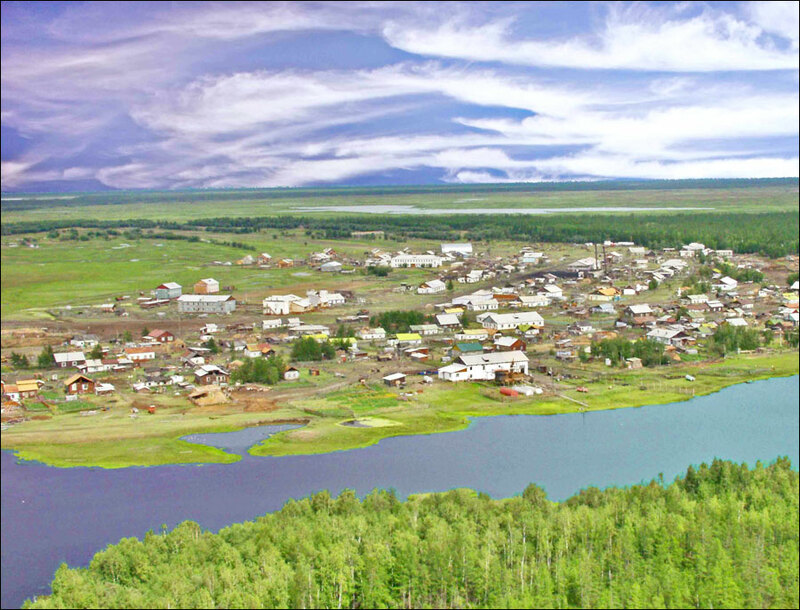 In 1632, Lensky (present Yakutsk) fortified settlement was founded on the right bank of the Lena River. This date is considered to be the date of Yakutia joining the Russian state. In January 1634, a large group of the Yakuts (about 1,000 people) besieged the fort that was defended by about 200 Cossacks, but could not capture it. But they continued to resist the Russian colonization for a long time or moved to remote areas. In 1638, the Yakutsk region was formed. 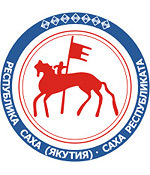 It became the Yakutsk province in 1775, and Yakutsk oblast in 1784. In the 18th century, the Christianization of the indigenous population began. 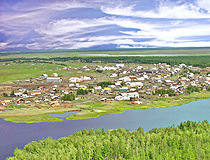 Almost from the beginning (the 1640s), Yakutia was used by the Russian authorities as a place of exile. 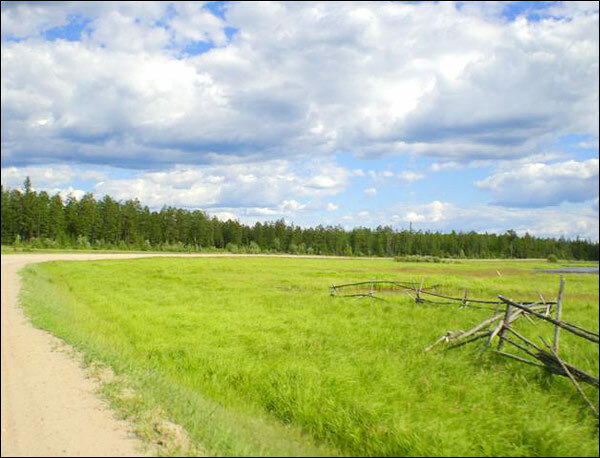 In the 19th century, Yakutia became a place of political exile. Decembrists as well as the participants of the Polish uprising of 1863 and others were exiled here. In 1917, the population of Yakutsk oblast was over 264,000 people. About 84% of the population lived in rural areas. Almost the same percentage of the regional population were the Yakuts, 9.5% - Russians, 6,5% - Evenks, Evens, Yukaghir, Chukchi, and others. In 1922, Yakutian Autonomous Soviet Socialist Republic was formed as part of the Russian Soviet Federative Socialist Republic. 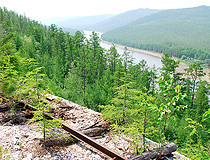 The Soviet period in the history of Yakutia is associated with large-scale industrial development of its natural resources. In the 1930s, exploitation of the Northern Sea Route began, Tiksi seaport was constructed in the mouth of the Lena River. In 1939, the population of the region amounted to 413,000 people, 65.5% of the population were the Yakuts, 35.5% - Russians, 3.3% - Evenks and Evens. During the Second World War, more than 63,000 people were drafted into the Red Army, about 35,000 people were killed or gone missing. 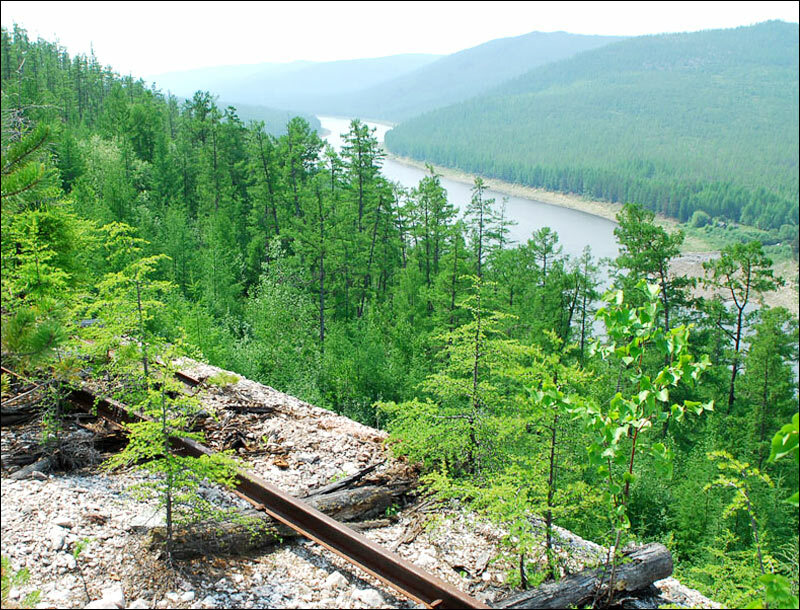 In the 1950s, rich diamond deposits were discovered in the west of Yakutia. A new period in the history of Yakutia began on September 27, 1990, when the declaration of independence of the republic was adopted. 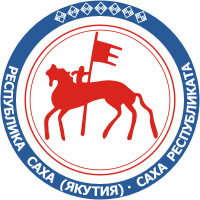 In 1991, the republic received a new name - the Republic of Sakha (Yakutia). Yakutia is the largest administrative and territorial region in the world and the largest subject of the Russian Federation. Yakutia is larger than Argentina - the eighth largest country in the world. The territory of the republic stretches for 2,500 km from north to south and 2,000 km from west to east. The distance from Moscow to Yakutsk by roads is about 8,300 km. Almost half of the region (about 40%) is located in the Arctic Circle. In the north the Sakha Republic is washed by the Laptev Sea and East Siberian Sea. The total length of the coastline exceeds 4,500 km. 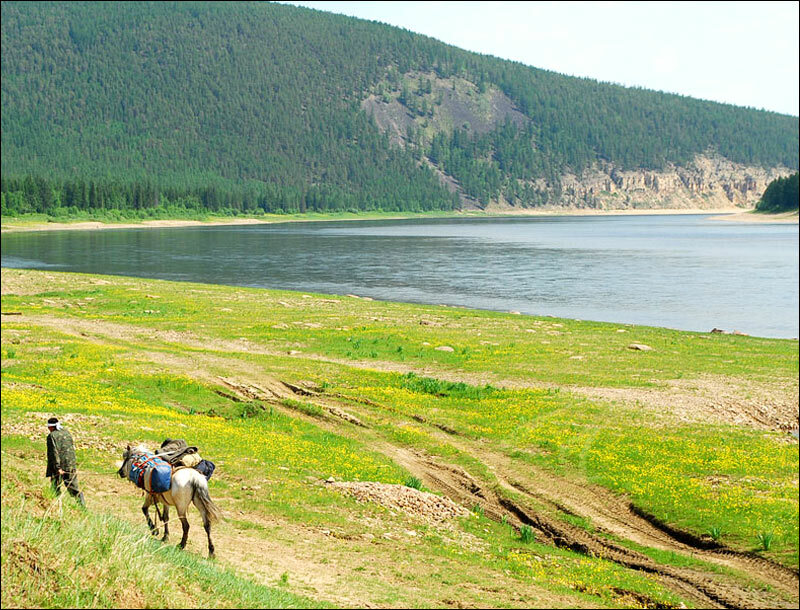 Yakutia is characterized by the diversity of natural conditions and resources. 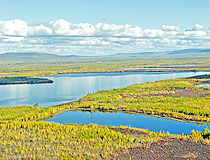 The Republic of Sakha is often called the land of rivers (over 700,000) and lakes (over 800,000). The total length of all the rivers is about 2 million km. 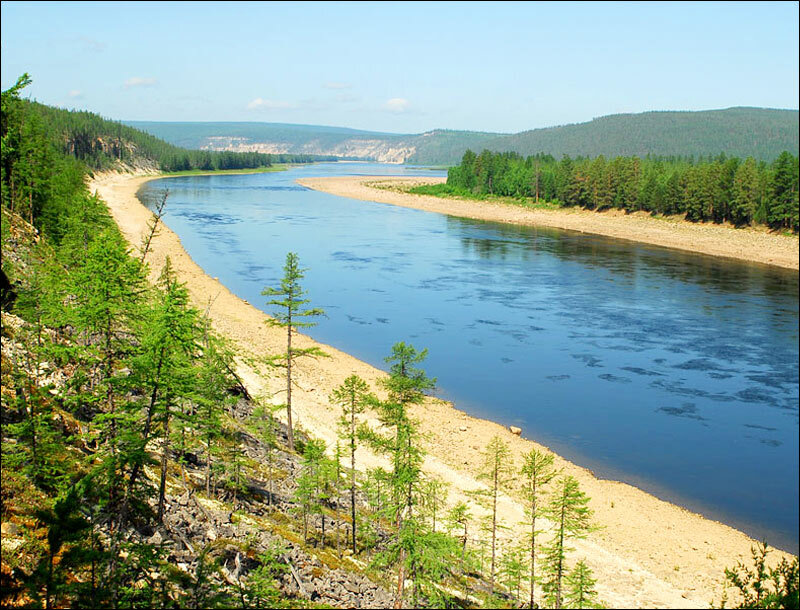 The largest navigable rivers are the Lena (4,400 km), Viluy (2,650 km), Olenek (2,292 km), Aldan (2,273 km), Kolyma (2,129 km), Indigirka (1,726 km), Olekma (1,436 km), Anabar (939 km), and Yana (872 km). The climate is sharply continental with long winters and short summers. It is one of the coldest places in the world. The Cold Pole of the Northern Hemisphere is located in Oymyakon, one of the coldest permanently inhabited locales on Earth, in winter the temperature can drop below 65 degrees Celsius. 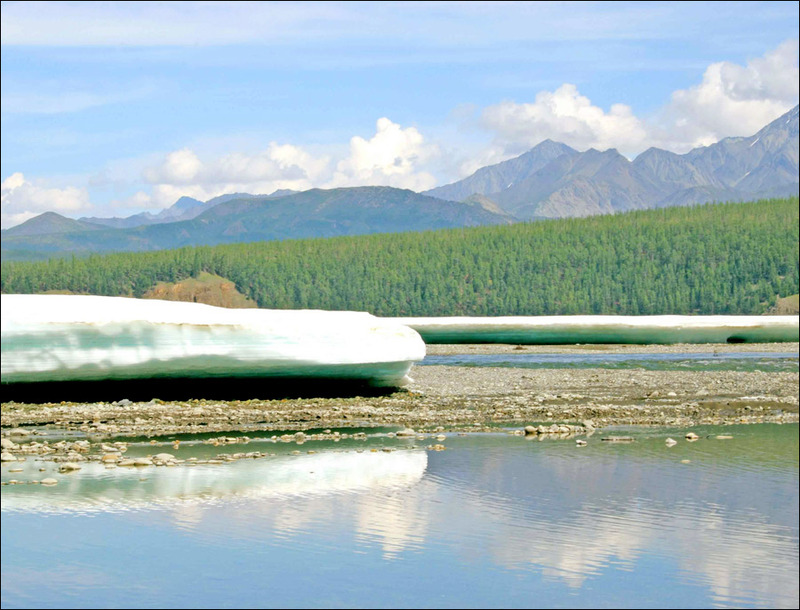 April and October are winter months in Yakutia. Almost the entire territory of the region is located in the permafrost zone. The national composition according to the 2010 Census: Yakuts (49.9%), Russians (37.8%), Evenks (2.2%), Ukrainians (2.2%), Evens (1.6%), Tatars (0.9%). The largest cities and towns are Yakutsk (304,000) Neryungri (57,700), Mirny (34,800), Lensk (23,600), Aldan (20,800). Yakutsk is the largest city in the world located in the permafrost zone. September 27 - Day of statehood of the Republic of Sakha (Yakutia). 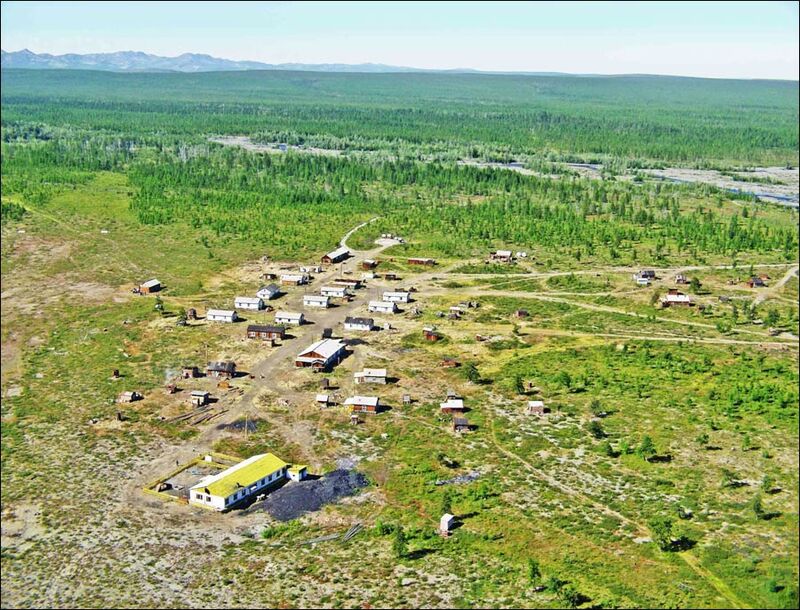 Today, the Republic of Sakha (Yakutia) has a developed mining industry extracting gold, diamonds, oil, natural gas, coal, and various metals. 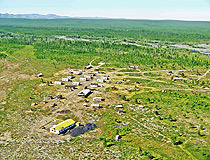 Elkonskoye uranium deposit, the largest in Russia, is located here. 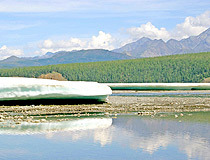 Yakutia is also known for its furs and mammoth tusks. The main industries are non-ferrous metallurgy, mining of diamonds and gold (about 90% of all Russian diamonds and 24% of gold), coal mining, forest and wood processing, light and food industries. The tourism industry is developing rapidly. Agriculture produces milk, meat, vegetables, furs, reindeer. Most of the cargo is transported by waterways. 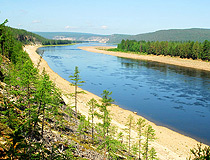 In the navigation period, the main waterways are the Lena (with its tributaries the Vilyui and Aldan), Yana, Indigirka, and Kolyma. Goods to the northern districts of the republic are delivered by the Northern Sea Route. 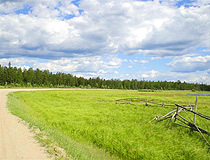 In 2008, the federal highway “Kolyma” (Yakutsk-Magadan) was opened for year-round exploitation. Due to the low number of roads, air transport is relatively well developed. There are more than 30 airports in the republic. Yakutia is one of the rare places on our planet with preserved primeval nature and an amazing variety of flora and fauna. 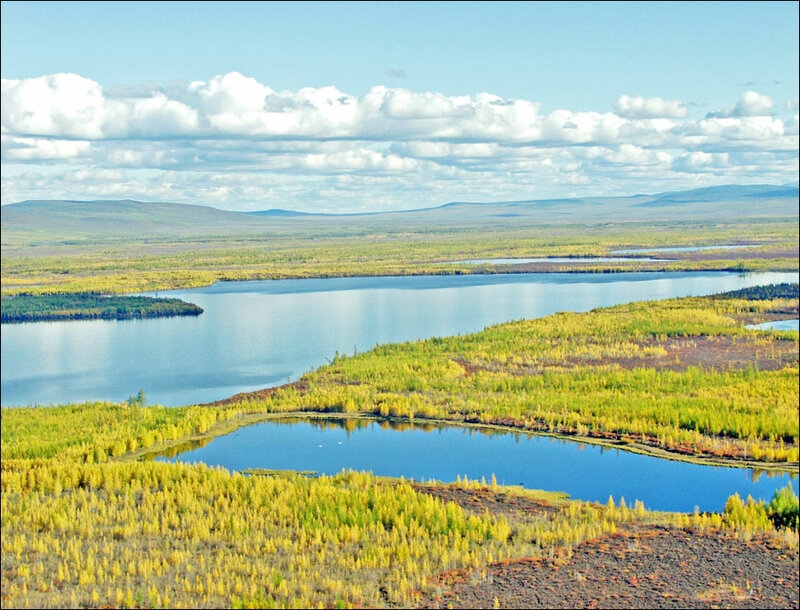 The Republic of Sakha (Yakutia) has over 30% of Russian wildlife. More than 90% of the territory is unaffected or slightly affected by industrial development. Kisilyakh Mount (“stone people” in the Yakut language) is known for its picturesque piles of stones resembling blurry silhouettes of people. Lena and Sinskiye Pillars - two series of steep, vertical cliffs located 200 km from Yakutsk, on the banks of the Lena and Sinyaya rivers. These rocks have different fancy shapes: columns, spiers and towers. Many of them have traces of ancient rock paintings. Memorial Museum “Yakutsk political exile” in the village of Cherkyokh - an open-air museum that includes two dozen objects. The main purpose of the museum is to demonstrate how Russian culture, brought to Yakutia by political exiles, affected the lives of local people. Lensky historical and architectural museum-reserve “Druzhba” (“friendship”) in Sottintsy village, 70 km from Yakutsk, has interesting old wooden monuments, the oldest of them date back to the 17th century. Olekminsk Reserve - one of the most interesting nature reserves of Yakutia with a lot of bears, moose, deer and other wildlife. 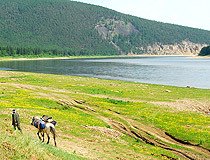 Lake Ulakhan-Ary-Kyuyele located on Ulakhan-Ary Island in Anabar national district. Ust-Vilyusky National Park located in the scenic valley between the rivers of Lyampushka and Dyanyshka, near Verkhoyansk Range. Zoo “Orto-Doydu”, located 50 km south of Yakutsk, has more than 150 animals (white-tailed eagles, golden eagles, spotted deer, Siberian tigers, Asian spruce grouse and others). Diamond quarry “Mir” in the town of Mirny is a man-made attraction. It is one of the largest quarries in the world with the diameter of 1,200 meters. what time is best visiting there? What time is best visiting there? I love visiting this beauty very soon. The end of June is a good time to visit it because of the national holiday celebrated and white nights. Also if you want something more extreme the winter time is good too, it is very cold but the only way to feel the true harshness of Siberia. Thank you for an interesting overview of the Sakha Republic. There is beautiful scenery. it would be nice to learn more about the people and how they under such extreme temperature conditions. Very much like northern Canada. Understand Sakha will receive additional numbers of Canadian Wood Bison. I hope wealthy Moscovites will not be allowed to shoot them.